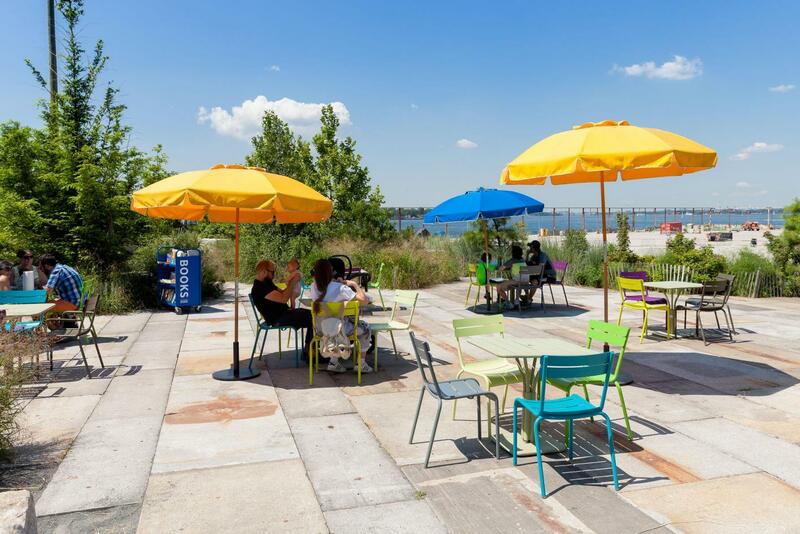 Gather and enjoy the spectacular views from a terrace constructed of salvaged stone from the Roosevelt Island and Willis Avenue Bridges. 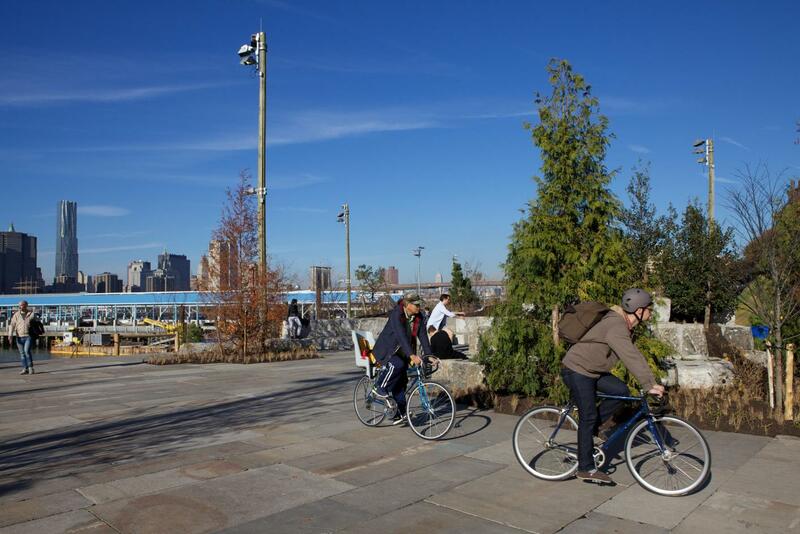 Located on the Pier 3 Greenway Terrace, visitors can experience a truly peaceful space that’s sheltered from the rush and noise of the city. 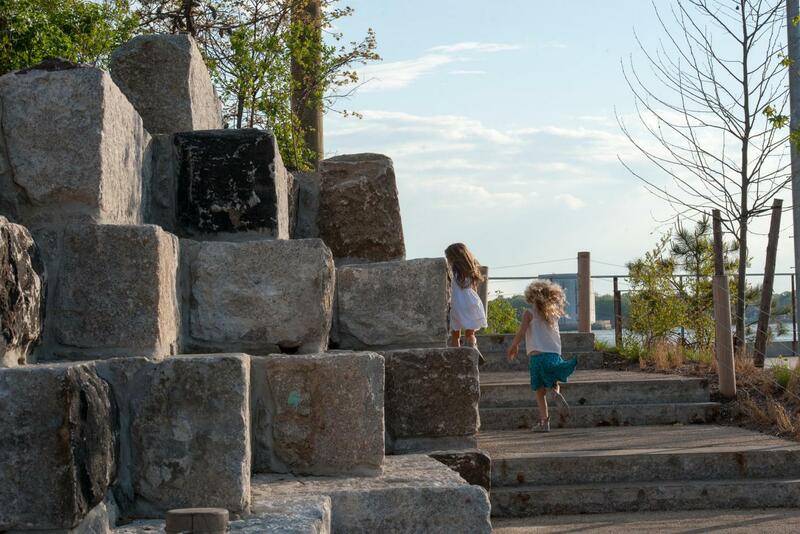 The Granite Terrace features salvaged granite blocks that emerge from planted areas, allowing visitors to admire the spectacular view from shady nooks beneath the Metasequoia trees. 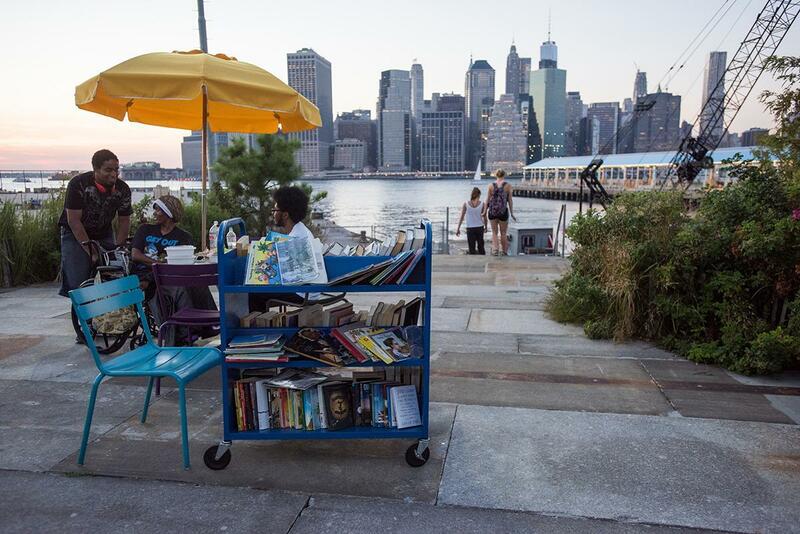 The Brooklyn Bridge Park Book Cart can be found here, weather permitting. Feel free to grab a book from its shelves, sit back and enjoy a great read with a great view.